Government grants and loans are critical to promoting innovative research, and helping individuals pursue their dreams of graduating from college. To qualify for these funds, students and schools must satisfy certain requirements. Unfortunately, some institutions abuse the government’s trust by making fraudulent statements to the Department of Education in order to falsely meet these requirements. Under the False Claims Act, the United States government can recover money and collect fines against schools who commit education fraud and exploit students. The qui tam, or whistleblower, provisions of the False Claims Act protect people who come forward to report education fraud from retaliation, and allow whistleblowers to receive a portion of any amount the government recovers from the wrongdoer. Our firm can help you enforce your rights and recover money under the False Claims Act in cases involving education fraud. 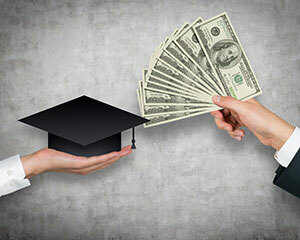 University of Phoenix, a for-profit institution, accepted federal student financial aid while in violation of laws prohibiting post-secondary schools from paying admissions employees compensation tied to the number of students they recruited. The whistleblowers, two former University of Phoenix employees, filed a qui tam lawsuit under the False Claims Act against University of Phoenix for its fraudulent conduct. The government recovered $67.5 million from University of Phoenix, and the whistleblowers were rewarded $19 million for coming forward with information about the education fraud.